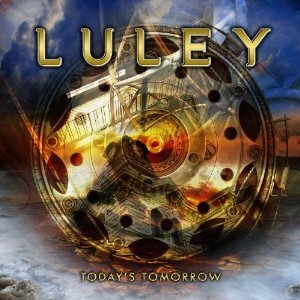 The band name Luley may not be familiar, but it is the band of a man with a great track record - Klaus Luley. In the early 80s he was the front man of German melodic rock band Tokya. Following the demise of Tokyo he formed the band Craaft and again enjoyed considerable success in the melodic rock field, including touring with bands including Queen, Bon Jovi, Meat Loaf, Level 42 and Rod Stewart. As a songwriter he's written songs for a number of artists including Meat loaf and has been found in sudio vocal sessions with artists including Donna Summer and Jennifer Rush. His new album includes ten new songs as well as a remake of a song by his old band Tokyo, their hit single and self titled song, Tokyo. There's plenty of of great guitar work on the album, particularly on "Take me today", the vocals are great, and the rest of the music is also spot on - really there's nothing here to criticise - this is simply a great album. I really like this album. With some melodic rock the rock element is almost missing, but with this album Klaus Luley has produced an album thats got enough power and punch to keep it interesting without swamping the melodic elements. The album has some great songs and is an album that is likely to win Luley plenty of new fans. A great album - highly recommended.